There’s never been a more exciting time to jump into modular synthesis. 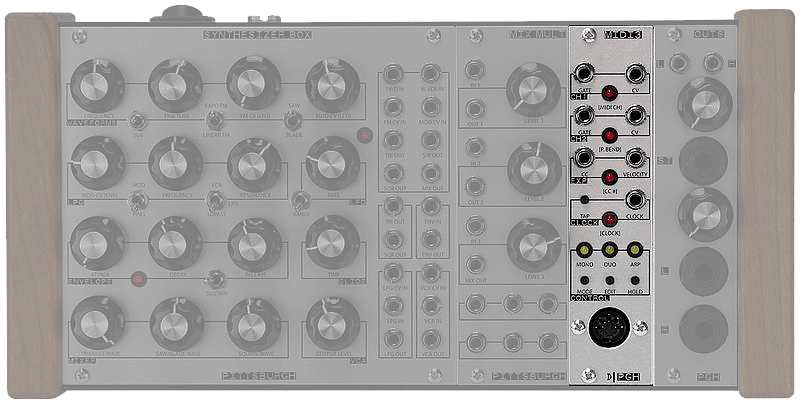 Not only are there new designs and designers popping up everday, Eurorack modular synth modules are becoming increasingly affordable and compatible with modern DAW setups. The modular synthesizer world can be overwhelming if you are just diving in – but don’t let that stop you! With so many options, it’s most important to focus your investment into a system that’s fun and inspiring. 1. Ask yourself what you’re missing in your computer setup and how a Eurorack version can improve it. Your modular synth setup should compliment your software rather than replace it. 2. Go for the all-in-one option when it’s available. If you can buy a single synthesizer voice (VCO, VCA, Envelope, Filter) all in one, do it – you’ll save space and money. Of course, this guide isn’t the be-all end-all guide for modular synths – There are many options, opinions, pros, cons, additions, alternate universes, etc., but this is a good list to get you started. One of the biggest inhibitors to entering the modular world is the bummer of setup cost. The Happy Ending Kit is a sturdy, no-frills entry to the modular world. This kit provides a power supply for up to 10 modules, rails, and a tabletop mount that can also be installed in a standard 19″ 3U studio rack. This MIDI to CV converter interface is an essential tool for playing your Eurorack with your MIDI controller or DAW. It accepts MIDI input, and it outputs up to two Gate (note on/off), pitch control voltage, and optional velocity control voltage information. 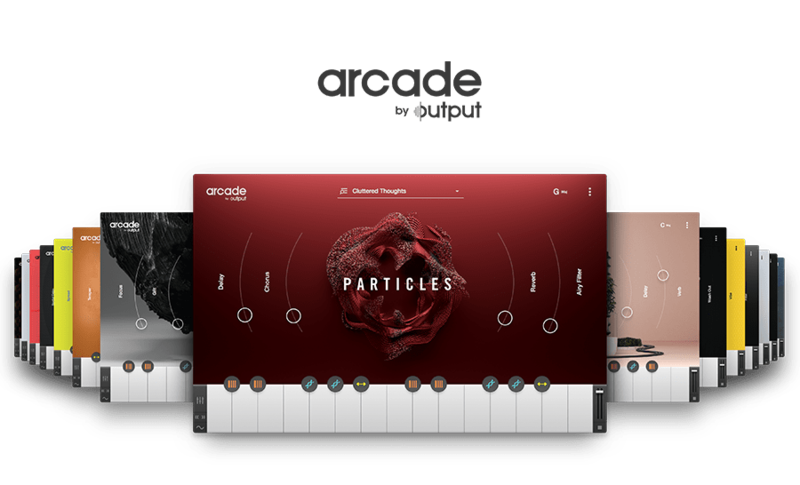 You can play two voices independently on different MIDI channels or stack the two gate and cv outputs to play the same MIDI note. 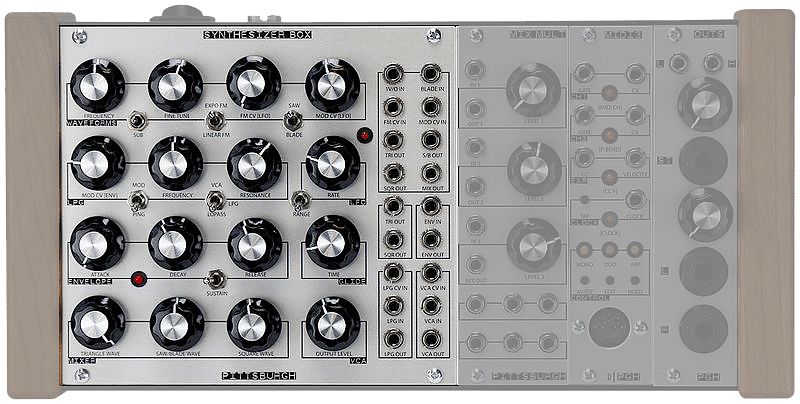 Another great addition to your set up by Pittsburgh is this all-in-one module with an Oscillator, Envelope Generator, LFO, Lowpass Gate, and VCA. As we mentioned before, If you can buy a complete voice in an all-in-one module, do it. This one saves you a lot of money (roughly $400) compared to buying the individual modules. 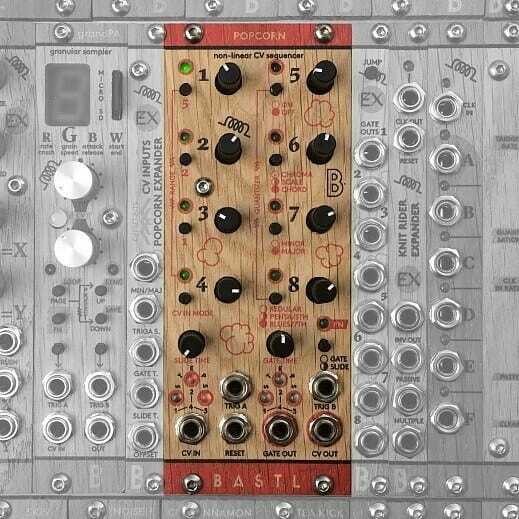 Bastl makes a ton of great modules, but we can’t pick them all, right?! Popcorn is a fun, wacky, non-linear Eurorack sequencer meant to break you out of the confines of a regular looped sequence. Their all-wood design also brings a new look to the ordinary black/metal aesthetic in your set up. The Phonogene is one of my favorite entry level sampler/loopers. Think of it as part open reel tape recorder and part granular/micro-sound compositional tool. You can set your own splices and loop samples; vari playback speed and direction; and GENE-shift, GENE-size, and SLIDE allow for Granularization of the recorded sound. A must have! The Rosie is especially great for those of you who plan to perform live with your modular setup. This is a simple dual input summing mixer that allows you to monitor one section of a patch under headphones via the auto-cue system, while allowing playback of a different portion of the patch chosen by the crossfader. This allows for parallel processing with a single send output and stereo return circuit.